ShowMore is a video platform perfectly integrating video recording and cloud storage. On one hand, the program allows you freely record your screen activities, including desktop, online conferences, videos, etc. 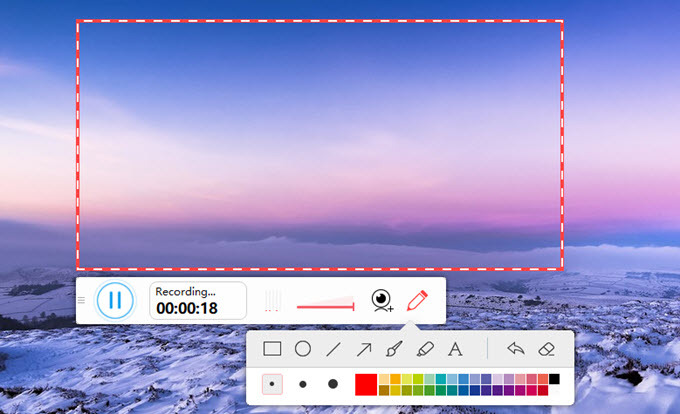 It provides various recording modes, such as full-screen recording, custom region, as well as the picture in picture recording, which can meet all your needs. On the other hand, it also allows personal use, business use, and educational use. 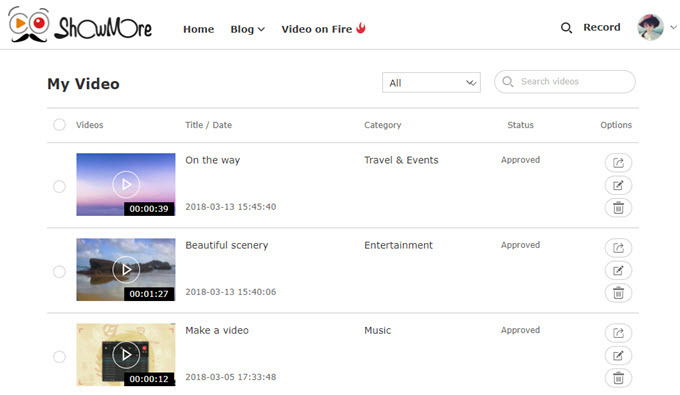 No matter what the purpose is, with this tool, users can upload and manage their videos online and share them with others. ShowMore adopts the most advanced and reliable cloud server as well as the world-leading CDN accelerator, supporting all the mainstream operating systems including Windows, Mac, iOS, and Android. You can view, manage and share your high-definition videos at anytime and anywhere. Besides, you are allowed to upload various videos including those that you recorded or edited by using third-party apps. In addition, you can set your uploaded videos for public or private viewing with ease. Uploading your recorded videos to ShowMore can free up your computer storage space, and you can access and manage your videos easily. With the free cloud storage service on ShowMore, sharing videos with your friends or uploading to other social media can be done with one click. Network safety: It uses HTTPS to secure your data, which guarantees its safety in terms of communication and network transmission. Data safety: It’s advanced distributed storage system together with multiple cross-region backup mechanisms make it sure that your data is almost 100% safe. Access security: Your data is encrypted and stored on ShowMore’s cloud space, which ensures that only you are able to access the data, and others have no access to it, including the system administrator. ShowMore has an advanced server and a reliable supplier, which ensure that your videos can be played smoothly. ShowMore makes full use of the CDN network to accelerate your network speed so that you can upload or watch videos online at a fast speed. ShowMore supports to upload and transcode videos with high-definition and original quality. In addition to that, it’s free from ads. All these make ShowMore one of the best video managers for users. ShowMore allows you to upload, view, manage, and share videos on the mainstream operating systems, including Windows, Mac, iOS, and Android. ShowMore aims to simplify the recording process, optimize the recording performance, and provide you with the most satisfactory cloud platform so as to enrich your digital life.